Yes, limos are definitely a great way to transport your wedding party, and they make for fun and glamorous wedding photos -- but you know what could make for an even better wedding photo? A paddle board or a tractor, to start! 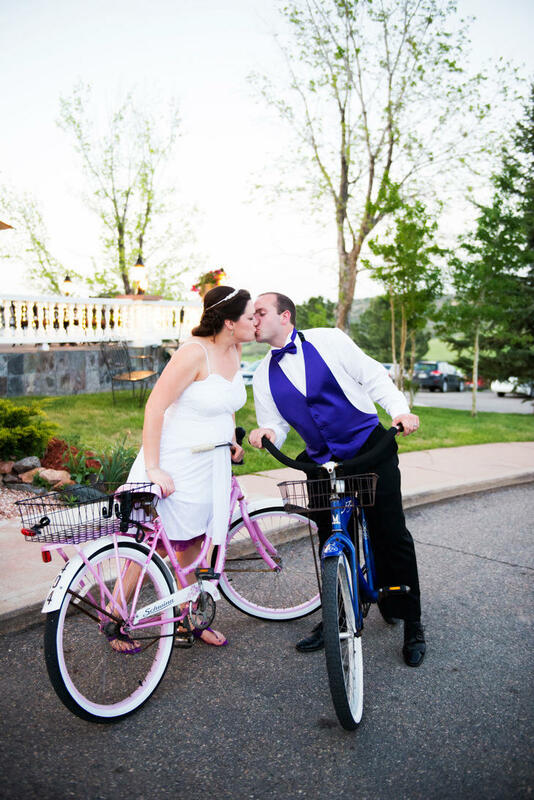 Here are 10 ways that real couples thought outside the box to get to and from their wedding. 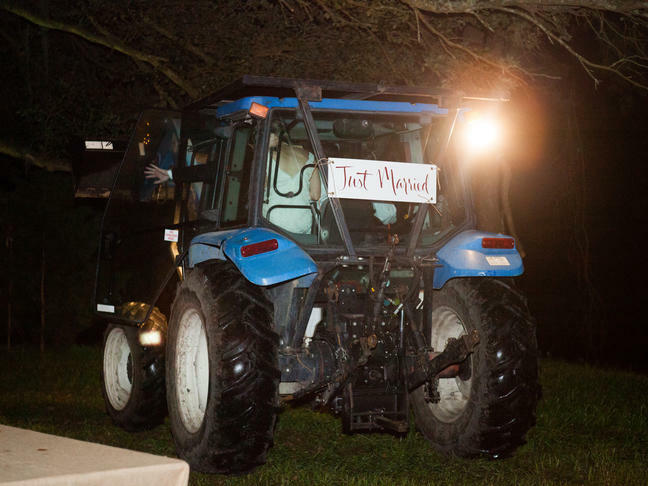 It was fitting that the newlyweds drove off on a tractor with a "Just Married" sign, since they married at the bride's family farm. This couple decided to buck tradition and make their entrance count, arriving at their ceremony in a yellow pedicab with an "Almost Married" sign on the back. 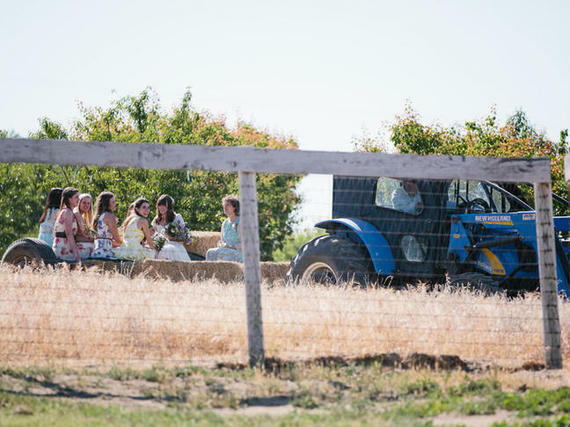 Hay rides can be fun all year round, and this bride and her bridesmaids proved that by arriving at the ceremony on a tractor-pulled wagon stacked with bales of hay for them to sit on. 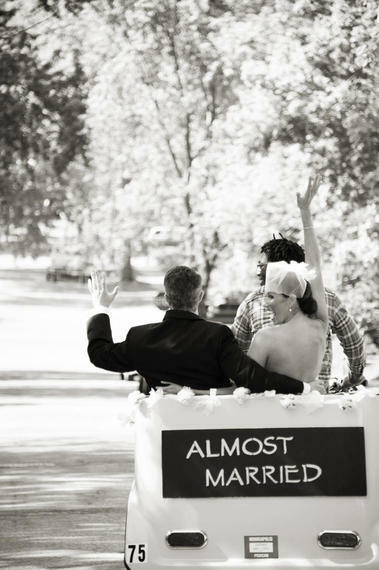 Perfect for a country-themed wedding! 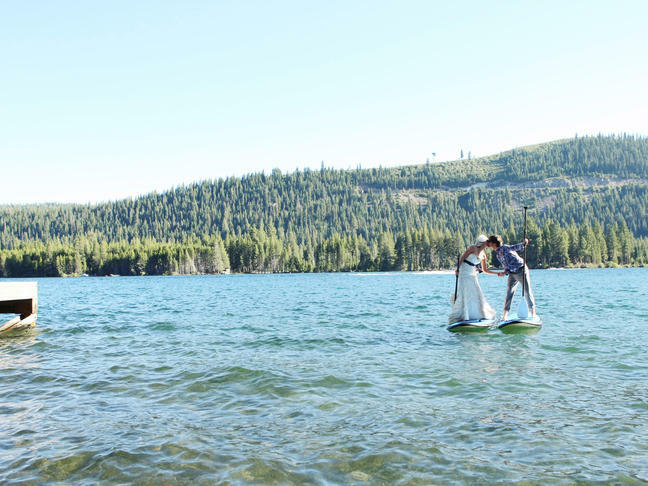 Paddle boarding amateurs probably shouldn't attempt to make their way to the middle of a lake on their wedding day (dressed head-to-toe in their wedding ensembles), but clearly, this couple knows what they're doing. 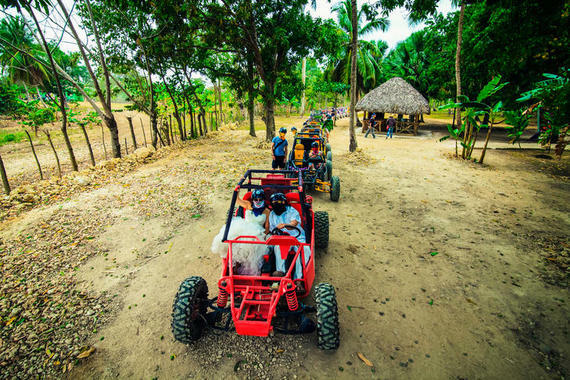 This couple -- and all of their guests -- left their Dominican Republic wedding in complete style, zooming along in dune buggies to complete the day. The bride wore Timberland boots -- what else? 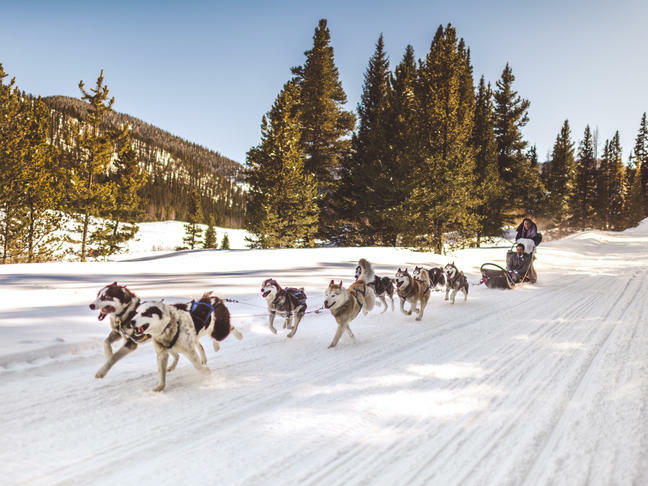 -- when she and her husband dogsledded to and from their wedding ceremony in snowy Colorado. It was wheels up for this couple, who chose to ride into the sunset on two bikes that matched each of their wedding outfits. 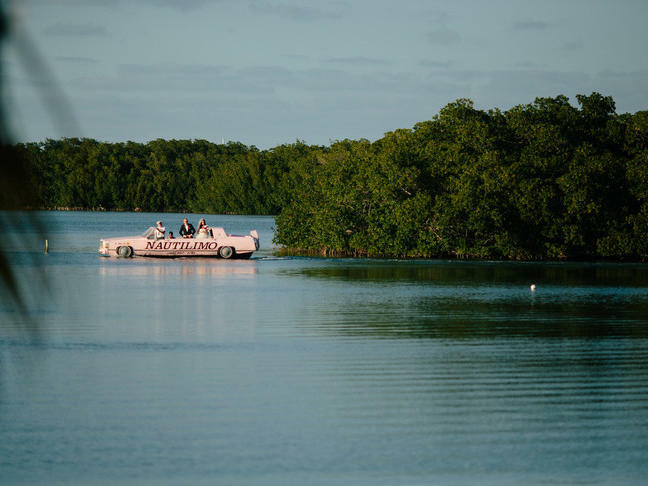 Nope, your eyes aren't playing tricks on you -- this snazzy Nautilimo, which is a vintage boat-shaped car, took the newlyweds out for a spin/swim. 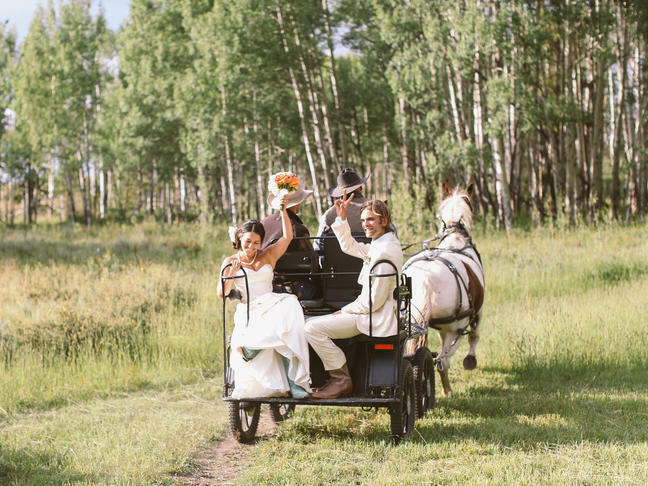 It was nothing but happy trails for this couple, who drove off to the reception in a horse and buggy -- wearing cowboy boots, naturally. 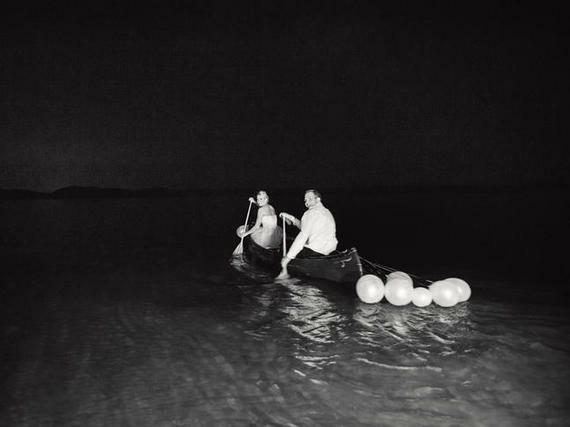 A canoe exit was the perfect send off for this couple's lakefront ceremony, and the paddles that have been passed down in the groom's family made it even more special.